A Mexican state could approve medicinal use of marijuana by the end of this year, paving the way for further steps toward legalizing the drug, former Mexican President Vicente Fox said on Monday. Political pressure inside Mexico to liberalize its stance on marijuana has been rising since the U.S. states of Washington and Colorado legalized possession and sale of the drug for recreational use in 2012. In July, opposition lawmakers in the western state of Jalisco put forward a plan to change local drug laws, including permitting the use of marijuana for medicinal purposes. 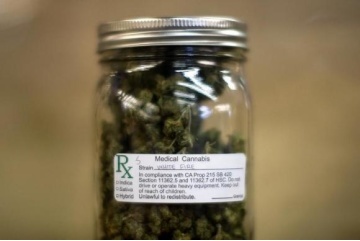 To win support for the plan, the lawmakers from the leftist Party of the Democratic Revolution (PRD) organized an ongoing survey to gauge public opinion, which so far has shown a clear majority in favor of allowing medical marijuana.